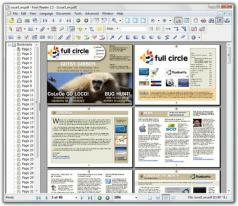 Foxit Reader is a PDF document viewer that offers a very small size, quick launch speed and great features. The program is designed for many different users, which include government agencies and corporations. The software is customizable to meet the needs of any organization. The features offered cannot be found in other PDF viewers making it one of the easiest to maintain and update. Requirements include 1.3 GHz, 64 MB RAM, and 52 MB available hard drive. You must have a screen resolution of 800x600.